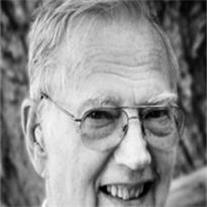 Dr. Keith Edward Boyd, (79), beloved husband, father, brother and grandfather, died Thursday, February 10, 2011, in Gilbert, AZ. Boyd was born May 3, 1931 in Salt Lake City, UT. Boyd graduated with a BS degree in Mechanical Engineering from the University of Utah in 1955 and went to work for Lockheed. Boyd was hired to teach at the UofU one year later. While on the faculty, Boyd, with his brother Bill, started a company called Research Engineering. Boyd graduated with a M.S. degree in Natural Sciences and then shortly after, moved to Arizona to attend ASU, where he earned a Ph.D. in Mechanical Engineering. Boyd worked as a Mechanical Engineer in the Aeronautical industry through the remainder of his career, while serving as adjunct faculty at ASU for many years. Boyd returned to teaching at Chandler/Gilbert Community College after retirement. Active in the Church of Jesus Christ of Latter-day Saints, Boyd served as Stake Mission President for the Scottsdale Stake, on the High Council, in the Bishopric for the Scottsdale Third Ward, and was the Family History Specialist, among other callings. He is survived by his wife, Patricia, sister, Bonnie, brother, Bill, and five children, Kathy (Mike Gannon), Keith, (Lark Boyd), Leslie, Richard (Carol Ann Boyd), Carol (David Foster). He was also the grandfather of 24 grandchildren and 4 great-grandsons, including Brigg Edward Boyd, born on the day of his passing. Viewing will be held for family and friends Thursday, February 17, from 6-8 pm at Bunker’s Garden Chapel, 33 N. Centennial Way, Mesa AZ 85201. Funeral services will be Friday, February 18, 10 a.m. at Hillcrest Ward, 2618 N. Lindsay Rd, Mesa AZ 85213, with a viewing just prior at 9 am. Burial will be in the City of Mesa Cemetery.